Located along one of the most attractive beaches along South Africa’s Indian Ocean shoreline, Umhlanga Sands Resort is a well-furnished and beautiful retreat. With restaurants, bars, and swimming pools available throughout the resort, this destination is perfect for families of all ages. Guests can enjoy fishing, watersports, outdoor activities and amazing white beaches. 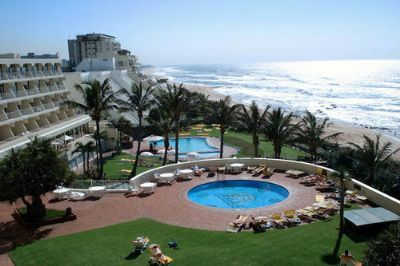 These South Africa timeshares for sale offer studio, one, and two bedroom units at Umhlanga Sands Resort. These rooms will sleep from two to six people and provide a partial kitchen with refrigerator and microwave. Beautiful bathrooms, televisions, and Wi-Fi create a comfortable atmosphere to enjoy a peaceful vacation. Timeshares feature views of the beach and the tropical landscape and the warm weather creates a welcoming atmosphere. Whether you choose to create meals in your unit, visit the on-site restaurant, or travel into town for a local experience, the resort is a central destination to area attractions. On-site amenities include a whirlpool spa and two swimming pools in addition to restaurants and a bar. Children will enjoy activities offered by the resort and adults can play tennis or golf nearby. The beaches along Umhlanga Rocks offer plenty of water sports or just relaxing in the sun and warm air. Traveling into town offers opportunities for sightseeing and enjoying the local culture. Take some time to go shopping in the boutiques or explore the historical areas around the resort. 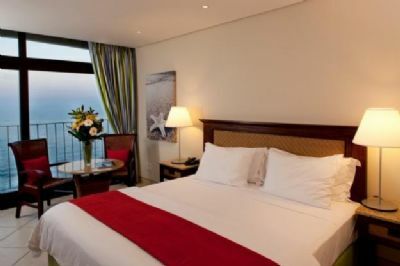 Friendly staff and comfortable units make Umhlanga Sands Resort one of the best destinations to explore the area. The resort is child-friendly with activities to keep the kids entertained and enjoying their stay. With subtropical weather all year round, traveling to the resort at any time of the year will offer a fun and relaxing vacation. South Africa timeshares for sale can offer different styles of rooms that will accommodate a romantic trip for two or a gathering of a large group of family and friends. The staff at the resort provide excellent service and will help create a memorable vacation. Contact Umhlanga Sands Resort Specialist Today!